Paradoxically, phone calls are becoming simultaneously less and more important. 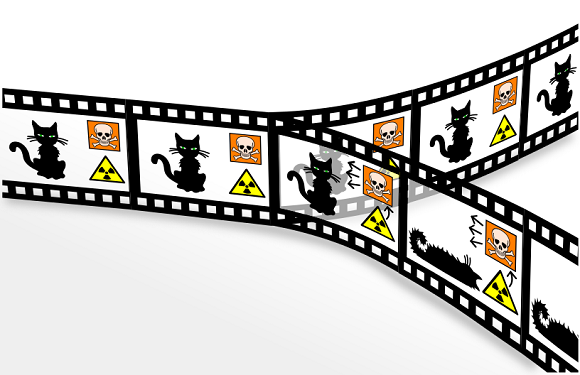 In 1935, Austrian physicist Erwin Schrodinger devised a thought experiment to highlight a paradox seen in quantum mechanics where something can live in two states at once. In Schrodinger's test, we're asked to think about the state of a cat in a sealed box with a vial of poison, a radioactive source, and a hammer triggered to break the vial when a Geiger counter detects radiation. While the radioactive substance will eventually break the flask, killing the cat, we cannot know when this occurs so we can think of the cat as being simultaneously dead and alive -- hence the paradox. What the heck do cats, poison, and radioactive elements have to do with contact centers? Great question. As in Schrodinger's test, a paradox is happening in the contact center in that the voice channel is simultaneously becoming increasingly less important and more important. Right now many of you may be thinking, "Huh?" Let me explain. The evolution of contact centers from voice-only to multitouch, omnichannel environments has been well documented. A couple of decades ago, we could only interact with companies by phone, so voice calls were all we knew. Over time, new ways for people to communicate became available, leading customers to demand the ability to interact with companies over these channels. If you can communicate with friends, loved ones, and co-workers using these channels, why can't you reach out to your cable company, hotel, or airline in the same ways? The multitouch aspect means that as customers move from Web self-service to chat or some other channel, they should not have to provide information already gathered via a previous channel. From the data points above, we can presume that voice is becoming increasingly less important as customers are initiating conversations with businesses through everything but phone calls. However -- and here is where the paradox comes into play -- when customers do have problems, they will pick up the phone and call. At that moment, voice will become increasingly more important. If you've been on a mobile app or website trying to accomplish something and are now picking up the phone to make a call, you have not been able to resolve your problem... and are expecting the call center agent to be able to do so. At this moment, the call center agent better have the ability to communicate with you through other channels, like sending an e-mail or SMS confirmation, and he or she better have all the relevant information you've already provided. This will create the experience that "delights," as so many businesses are trying to achieve. I have my own real-life example to share. A few months ago, I had finished up a speech in Chicago and headed to the airport for my return flight to Boston. But as so often happens when traveling to and from the Northeast, my flight was cancelled due to a storm that rolled through Boston. Me, being the savvy traveler that I am, didn't panic. I merely pulled out my trusty smartphone, launched the American Airlines app, and began the process of changing my flight. Unfortunately, I couldn't find an alternative flight to Boston. Still, I didn't panic. Instead I figured, no problem, I'm in an American hub. So I next looked to see if I could fly to another airport, like in Charlotte or Philadelphia, and connect to Boston from there. Still no luck. At this point, getting frustrated, I decided to give up doing it myself and called American's Executive Platinum line (meaning, I didn't have to wait on hold like other schmucks). A call center agent picked up the call immediately, with a greeting along the lines of, "Hello Mr. Kerravala, I see you were trying to change your flight to Boston. Can I help you with that?" I've been flying American for decades, and normally when I call I expect to have to tell the agent my frequent flier number, the record locater of my flight, whether the flight is domestic or international, and what I'm trying to do with it. To my shock and awe, the agent who picked up the call this time had that information at his fingertips, and very quickly routed me on a flight to Reagan airport in D.C. I could immediately see the change in the mobile app, but for good measure the agent sent me an SMS and e-mail confirming the change. Ultimately, the storm forced cancellation of my flight from D.C. to Boston, but I was close enough then that I could rent a car and drive home. My process was not dissimilar to what many other people go through as well. When I began my interaction with the airline, voice was of low importance. But to finish the interaction and resolve my problem, voice became the most important channel. I had a single experience in which the phone call was simultaneously not important and very important, just like Schrodinger's cat was both dead and alive. It's easy to sit back and look at communication trends and infer that the call center agent is going away or the voice channel is becoming irrelevant, but that's simply not true. The stakes are highest when a customer is calling a company, and at that moment, the call center agent better have the right information and be able to provide a delightful experience... or next time that call might be to a competitor.